Mega Cleaning is your trusted partner upholstery cleaning in Kingston upon Thames. As a professional company, Mega Cleaning has the acquaintance and the knowledge of a variety treatment procedures depending on the type and fabric of your Upholstery. We value our customers and invest in our cleaner’s consistent training. 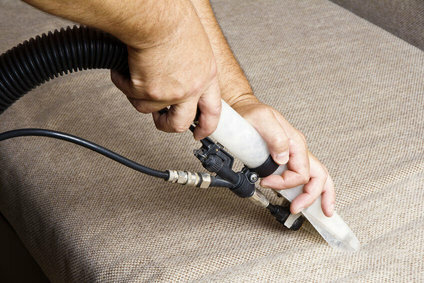 Therefore you will have skilled and experienced cleaners attending your premises applying the leading on the market techniques of cleaning your beloved Upholstery up to perfection. No matter if we are cleaning a sofa or just a cushion, mattress or curtains, armchair or dining chair, we will make sure that your investment in our professional cleaning is worth it. By using MegaCleaning in Kingston upon Thames for Sofa and Upholstery cleaning, you actually invest money in your health. In fact, it is well-known that the upholstered furniture is natural air filter of the house dust, pollens, bacteria, and germs. The external factors such as drinks, food or hair left behind from your pets contribute to the additional aggregation of the bacteria deep into the Upholstery. The upholstery cleaning hot water extraction process is extremely efficient and effective. It will extract almost 95% of the moisture together with all the accumulated dirt and odours and it will ensure minimal drying process. In addition, it will revitalise and restore your Upholstery to its former glamour. Besides that, you can enjoy your Upholstery shortly after we complete the service. You just need to ensure good ventilation of the room, which is the most natural helper of the fast drying off of your upholstery. The stains on your upholstery will be treated with a variety of stain removers depending on their type. Old and already treated with detergents stains will be very difficult to be removed, however, our well-trained staff will do everything possible to achieve great results upon completion. Rely on us for upholstery cleaning Kingston. Just vacuuming or dusting once in a while is not enough to clean your upholstery in-depth. The germs and bacteria are invisible to the eye but they tend to penetrate in the fabrics and respectively the air. 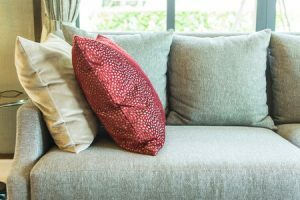 Experts on the market suggest the upholstery should be cleaned at least once a year depending on the extensity of usage. In addition, with the utilisation of professional upholstery cleaning, you actually extend the life of your favourite upholstery at home or in the office. 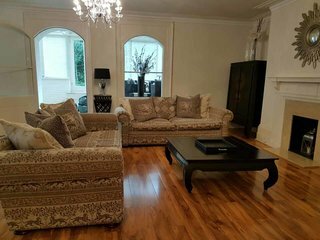 Additionally, MegaCleaning in Kingston upon Thames is offering other services you might be interested in as End of tenancy cleaning, After builders cleaning, One-off cleaning or Carpet cleaning. Give your upholstered furniture and your health special attention and we will provide you with a high-quality upholstery cleaning in Kingston upon Thames at an effective cost. Call us now on 020 3637 7737 and a representative will help you further with professional cleaning Kingston.